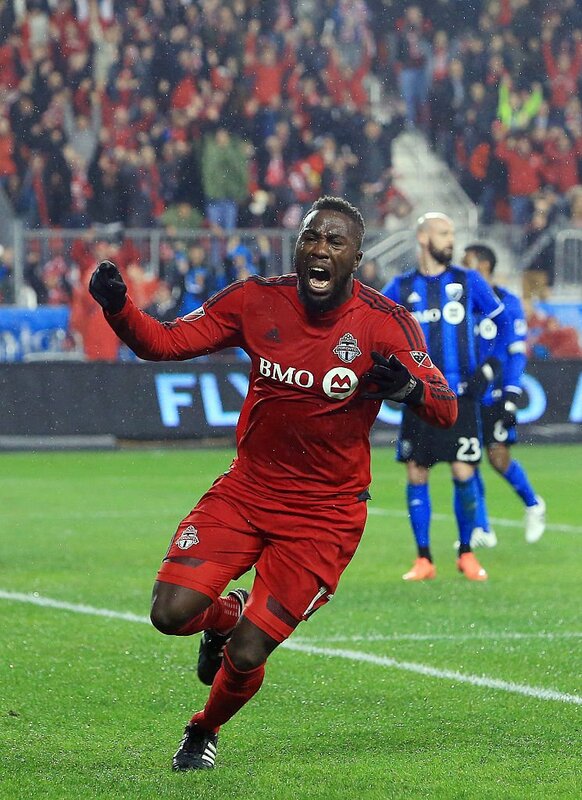 Toronto FC forward, Jozy Altidore has been shortlisted for the 2016 U.S. Soccer Male Player of the Year Award. Here is everything you need to know about Jozy Altidore’s wiki, including his age, height, and girlfriend. The year is definitely ending on a high note for Toronto FC forward, Jozy Altidore, who helped his team score six goals, including four in a World Cup Qualifying game, in just 10 appearances. As the 27-year-old star completes a decade of playing for his country, he has managed to score a U.S. high of six goals and two assists. Naturally, excited soccer fans are scouring social media to learn more about the talented player, so here is all the information you need to know about Jozy Altidore’s wiki, including his age, love life, and height. Josmer “Jozy” Altidore made his professional soccer debut with the New York Red Bulls when he was just in his teens. After three loan stints with teams such as the English Premier League Club Hull City, Turkish Club Bursaspor, and Spanish Segunda Division Club Xerex, he eventually returned to Major League Soccer (MLS). Considered one of the best players today, Altidore has represented the United States at several international events like the 2005 FIFA U-17 World Championship, 2007 FIFA U-20 World Cup, 2008 Beijing Olympics, as well as the 2010 and 2014 FIFA World Cups. Altidore was born into a Haitian-American family residing in Livingston, New Jersey. The youngest of four siblings, he loved playing soccer as a child while being raised as a Jehovah’s Witness in Boca Raton, Florida. As a teenager, Altidore was a part of several South Florida soccer teams like the Schulz Academy team and the Boca Raton Juniors Soccer Club. Since he showed promise at such a young age, the soccer prodigy began training with the U-17 national team at the IMG Academy, Bradenton. Jozy Altidore’s age was just 16 when he was picked in the 2006 MLS SuperDraft, and spent time studying for his high school diploma. He quickly became a fan-favorite after becoming the youngest soccer player to score a goal in the MLS playoffs, proving himself to be a good bet for the New York Red Bulls. Jozy Altidore’s net worth spiked after he was signed by Villarreal for nearly $10.0 million, which became the highest amount paid for any MLS player. He spent the next few years of his soccer career bouncing around from team to team, as part of loan agreements between Villarreal, Xerex, Hull City, Bursaspor and AZ. Finally, Altidore settled on a four-year contract worth $13.0 million with English Premier Club Sunderland, before transferring back to Toronto FC of MLS for an undisclosed amount. Jozy Altidore’s height of 6’1″ proved to be a boon, and helped him garner success early on in his international soccer career. Unfortunately, he suffered a severe hamstring injury at the CONCACAF Gold Cup in 2011, that benched him for almost two years. However, the star didn’t stay off his feet for too long, and made an incredible comeback scoring hat trick goals in his subsequent matches. Tragedy struck when Altidore pulled his hamstring again at the opening 2014 FIFA World Cup game against Ghana, and had to be carried off the soccer field. The good-looking player has plenty of interested ladies in line, but is yet to take a wife. Jozy Altidore’s girlfriend is Illiana Blackshear, and the happy couple has been in a relationship since 2011. She shares his love of soccer and reportedly works for the basketball team, The Brooklyn Nets as an account executive. Jozy Altidore’s net worth is estimated to be a staggering $8.0 million, combining the lucrative endorsement deals under his belt. After the earthquake in his home country of Haiti, Altidore gave an interview on CNN urging people to donate money to relief funds, while also discussing his family back in Haiti.